A few months ago, we featured a Supplier Profile article that highlighted the way Australis handles their tours with care for the traveler and environment, their tours in the unique land of Patagonia, and how their world-class service let’s the traveler witness sites to spur the imagination. Today’s article is on Australis offering up a limited promotion for kids to sail free on their ships in the month of December. Until November 30th, when the traveler books a cruise with Australis for December, children under 17 sail free on one of their voyages on the bottom of the world. The journeys, aboard either the Ventus Australis or the Stella Australis, take the traveler between Punta Arenas, Chile and Ushuaia, Argentina. Both ships can accommodate up to 210 passengers in 100 cabins. And, no matter which cabin the traveler cruises in, they get a great view from a large picture window. Breakfast and lunch are buffets, while four-course dinners with fresh ingredients feature Chilean and international cuisine. For parents, high-quality wine is available to relax and take in the vacation. The best part, all of these are included – yes, including the wine and other drinks. Though there are no special activities for children aboard, the views and activities featured are more than enough to keep both parent and child’s interest. They will see mighty glaciers and serene forests up close and personal on itineraries that follow in the steps of Darwin at the Darwin Mountain Range, where the uninhabited Chilean National Park awaits. Travelers will get to see Wulaia Bay, where native forest and information about the Yaghan people who settled this area 6,500 years ago. And then there’s the main attraction, Cape Horn National Park – known as the End of the Earth. This is final bit of land before any could arrive in Antarctica, which is 600 miles away. To top off a great day, there is a video and lecture offered each evening that goes over everything seen during the day and what can be expected for the following day. The traveler may embark from either Punta Arenas or Ushuaia for this four-night adventure cruise, and the rates start $1,565. When you include the added bonus of children being able to experience the majestic and unique Patagonia at no extra cost, this is a deal not to be passed up. Let the traveler and their children share the wonder of the natural world in style. 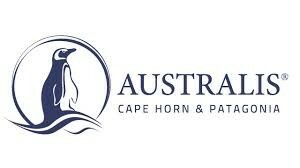 For more information about Australis and their cruises, please visit www.australis.com.